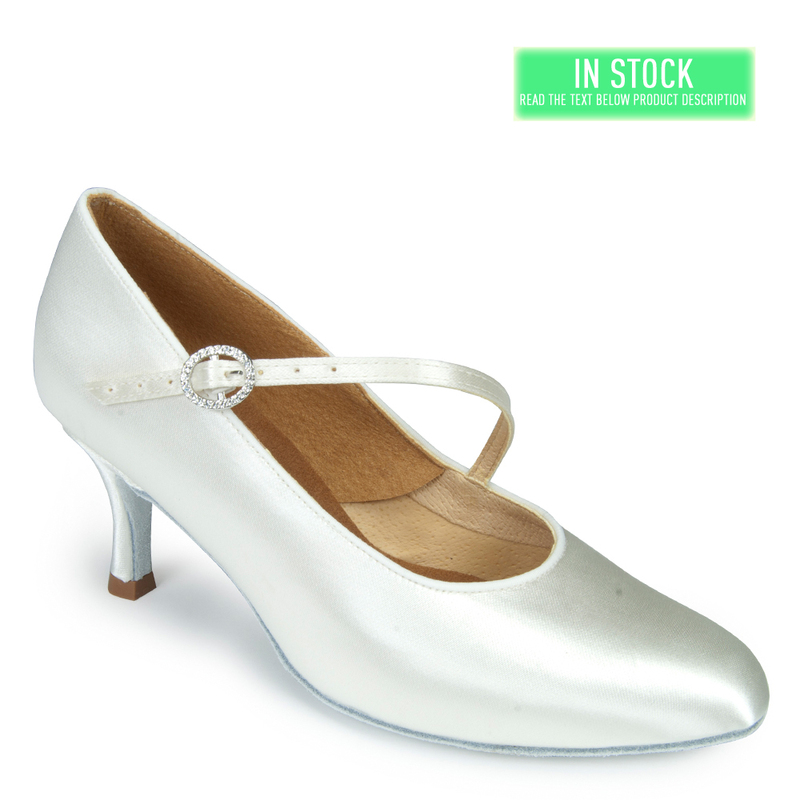 ‘ICS RoundToe SingleStrap’ is a rounded toe Standard shoe available online in White Satin. This is a classic, traditionally elegant style with a strap for added stability. As you can tell by the long list of dancers below that choose to wear this design, it&apos;s a very popular choice among the world&apos;s finest competitive dancers. This shoe is pictured on the 2.5” Ultra Flared heel and it is also available in Flesh Satin, and you can view that style by clicking here. If you&apos;d prefer this design without a strap, then you can view that style by clicking here.